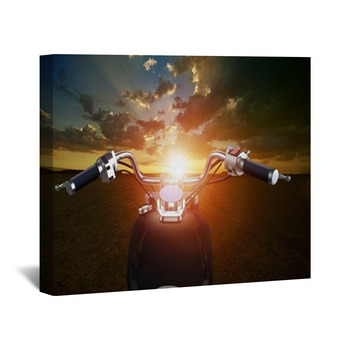 Whether you're a natural born biker or someone who just loves the idea of a rumbling piece of on road freedom, custom Motorcycle Wall Art will add zest to your home. 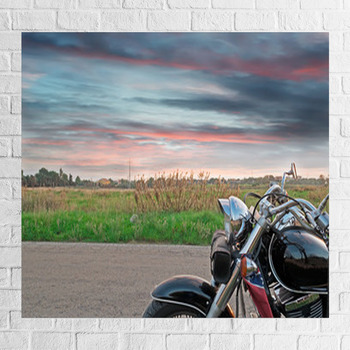 Imagine you're riding down a wide stretch of deserted country road, admiring the scenic route and the wind whistling past. You feel at peace with nature and your surroundings. The chorus lines of every classic rock song about being free is flowing through your mind. 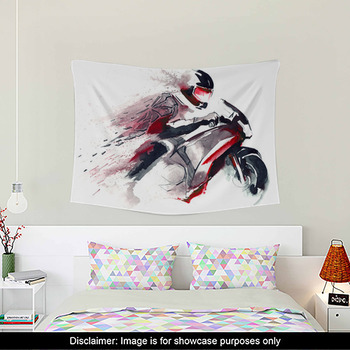 These are the kinds of daydreams you can come to expect when you have inspiration like these motorcycle wall murals, or posters on your walls to keep your mind company. 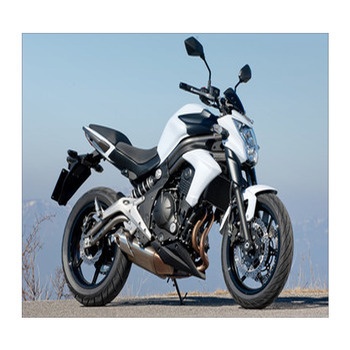 Are you a mechanic with an affinity for awesome models of classic biker steel? 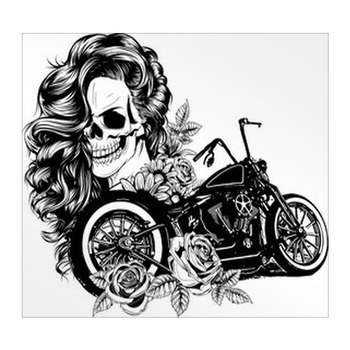 Do calendars of attractive women on notable motorcycles line the walls of your garage. 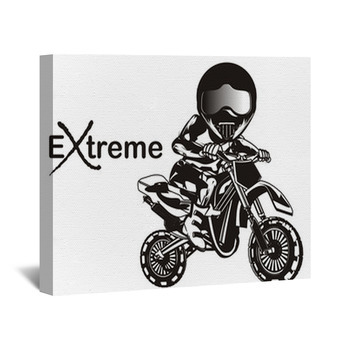 Give your patrons something to admire with wall hangings that will entice the most conservative riders. 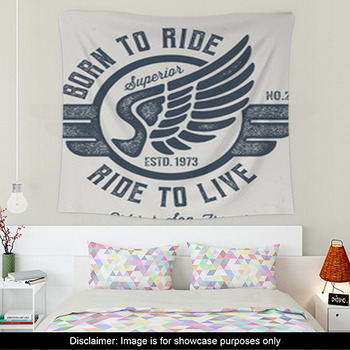 Some images will feature biker babes in all their leather glory astride the decade's hottest motorcycle rides, while others will convey a tamer message with close up angles of vintage bikes. When it comes to these wall murals, there's something for everyone. 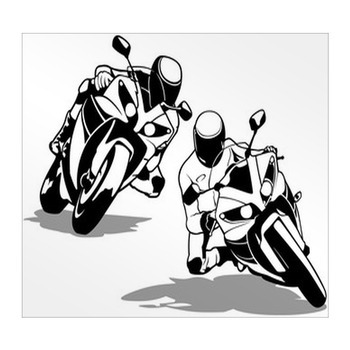 Are you an artist who constantly dreams of drawing the next big thing in Motorcycle madness? 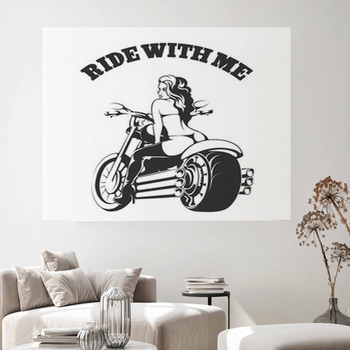 If you've run out of ideas and need a new boost of inspiration, our motorcycle themed wall stickers can serve the purpose of encouraging innovative sketches to spring from your mind. 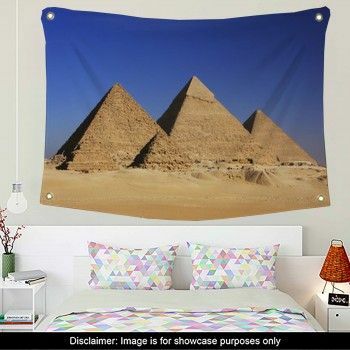 Eventually, the ambition will become your own and the wall art will be merely a reminder of a time when you needed a mental kick in the right direction. 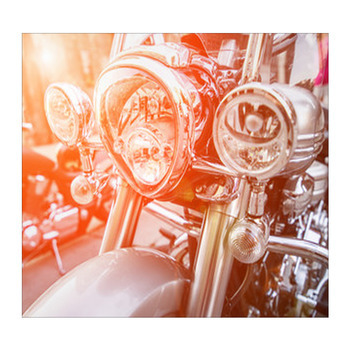 Each poster displays the best of each bike from the metallic pipes and inner workings, to the beautifully crafted body and vibrant hues. 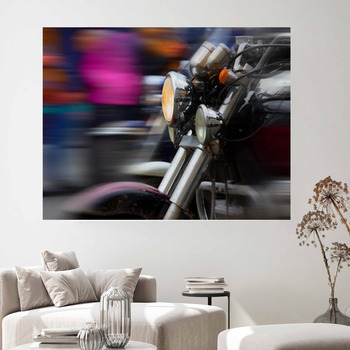 There are limitless possibilities when it comes to where and why you'd want to hang motorcycle wall murals.